A lot of players who are new to online slots fall into the trap of buying expensive slot systems. Don’t do this. These systems claim to reveal secrets regarding how to identify slot games that are “due” to hit. We have never come across a system that works up to its claims. Keep in mind that slots at reputable online casinos are designed with random number generators (RNGs). The outcome of each spin is based upon probabilities.No system can reliably “game” a dependable RNG. Here is how you maximize your chances of winning playing slots. Look For Slots Bonuses, especially at new slots casinos like Cafe Casino. There you have it. There are no secrets to improving your overall odds of winnings on slots. Oddly, there are a number of myths about how to win on slot machines that have captivated, and distracted, slots fans. 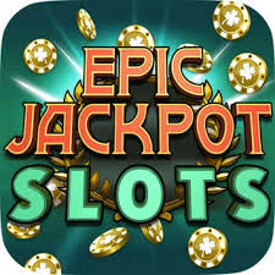 For example, A lot of players believe that some slots are looser than others, so much so that they search out constantly. Or, they think land-based casinos position their loosest slot machines near the entrances to give a sense of winning and excitement as you walk by the door. There is little to no evidence which suggests these notions are anything other than myths. That said, there are a number of slot strategies and slots tips that can help you improve your playing performance over the long run. Here are a few workable tips for how to win on slot machines. You can keep up with the latest online slots news at slotsmachineonline.org as well as read more about playing slots there. There are no slot machine “rules”, but these tips should help you along. Most large slot jackpots require that you bet the maximum number of credits. For example, a 3-credit slot game may accept one, two, or three credits per spin, but will only pay out the jackpot if you bet the three credits (the max). Always bet the maximum number. Often new players will continue betting less than the maximum number of credits because it would be too expensive otherwise. For example, a slot game with a 10 credit maximum could easily burn through a limited budget. Unfortunately, as noted above, betting less than the maximum precludes winning the jackpot. The solution is to find a slot machine that has a lower maximum bet. That way, you can preserve your bankroll while still having a chance to win the top jackpot. In most cases, that advice is good. Not only do progressive slots require you to bet the maximum in order to be eligible for the jackpot, but most slots pay out winnings disproportionately. That is, for 3 gold bars, betting 1 coin might return 5 credits, betting 2 coins might return 10 credits, and 3 coins might return 40 credits. Try to find slots that pay out winnings in even proportions. For example, the 3 coins above would pay out 15 credits instead of 40. That way, there’s no incentive to bet the maximum, nor penalty for not doing so. Color Down To Fit Your Slots Budget – Related to the “maximum bet” strategy above, play slot machines that fit your budget. First, establish how much money you have to play with. Then, you need to stick to that budget. Let’s say that you have $200 with which to play. A slot game with 20 paylines and a coin value of $1 would cost $20 per spin, assuming you bet the maximum (which you should almost always do). At that rate, you might potentially exhaust your budget after only 10 spins! Given that it’s common to go through 600 spins in one hour, 10 spins passes quickly. Instead, play slots that have fewer paylines or a lower coin value or even both. You’ll preserve your budget and last longer which improves your chances of hitting a few winning combinations. Determine your bankroll upfront. It’s easy to lose track of the amount of money you’ve won or lost simply because you didn’t take time in the beginning to establish your budget. Remember, people have a natural tendency to want to recoup their losses, even if it means going more deeply into the red. When you’re playing online slots from the comfort of your living room, it can be hard to resist the urge to make back the amount you’ve lost. Decide beforehand when you’ll cut yourself off. That doesn’t mean you can’t come back and try again later. But, it will help you to catch your breath before doing so. Both land-based and online casinos operate on the assumption of a house edge. Given an infinite number of spins on a slot machine, the casino can expect to make a marginal profit. This is the reason why they encourage big winners to continue playing. The casinos know that they’ll take back much, if not all, of the gambler’s winnings over time. 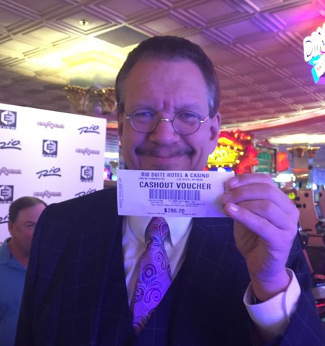 When you hit a slot machine jackpot, lock up some of your profits and walk away! Penn form “Penn and Teller” walked away with his winnings. Be like Penn. If possible, set aside your original bankroll, along with some of your jackpot winnings. Then, continue playing with a portion of your profit. A lot of slots fans start playing with little regard to cash flow management. As a result, they often exhaust their bankroll more quickly than they imagined they would. In this article, we’ll provide 5 savvy slots budget bankroll tips that will help you conserve your bankroll and improve your chances of hitting the jackpot. Slot machines with low betting values will help you conserve money and play longer. For example, rather than betting $20 on each spin, you can bet as low as $.01. With only $10, you could last over an hour without hitting any winning combinations. Low-bet slots provide another advantage. Progressive slot games require you to bet the maximum number of coins in order to qualify for the biggest slot machine jackpot. Imagine playing a slot with 5 paylines and a minimum credit value of $1. To qualify for the progressive jackpot, you would need to bet $15 on each spin. Slots with low minimum bets (for example, $.05) will help you stretch your bankroll much further. You’ll have streaks during which the reels refuse to deliver winning combinations. It’s an inevitable part of playing slots. The key is to make your budget last through the loosing streaks. Before sitting down to play, split your budget into multiple playing sessions. If you make a profit during one of your playing sessions, set aside a portion. Too often, slot fans become so excited from winning, they continue spinning the reels until their profit and original bankroll is gone. By setting aside a part of your winnings, you’ll ensure that your budget will last longer. That might translate into an extra playing session later, or even the one last spin that finally delivers the elusive jackpot. Make a personal commitment to stick to your original budget to make your bankroll last. Long-time slots enthusiasts recommend that players establish their budget before sitting down. Playing slots can be incredibly seductive. Time passes as the reels spin, and the only thing that interrupts your concentration is the sound of winning. Before you know it, hours have passed, you’ve gone through your budget, blown your slots bankroll, and you’ve started using your food money to play. Stop! 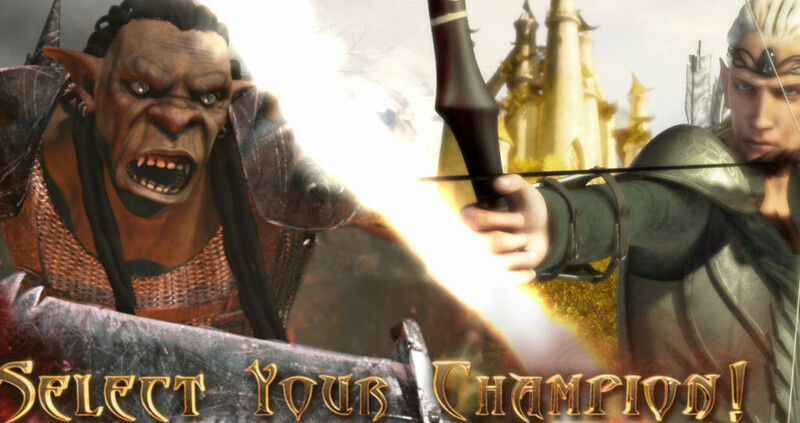 We mentioned the value of splitting your budget into multiple playing sessions. That will help you conserve your bankroll and resist the siren call of the slots. Not all slots are created equal. Some have a single payline while others have dozens. Some slots are progressives and pay out large jackpots occasionally; others are straight slots and pay out frequently, though in smaller amounts. The amount of bets available are not as confusing as say someone who is going to do a little gambling on craps, but there are a lot of different things to consider when choosing a slot machine to gamble on. Take the time to review the pay table and identify the type of slot you’re playing. Also, consider the slot machine’s payout percentage. With online slots, the payout percentage is usually audited by one of the large accounting firms. Many slots have payouts that approach 98%. Keep in mind that a slot game with 20 paylines will be more expensive to play if you’re betting the maximum amount on each spin. If you’re on a limited budget, consider choosing a slot machine with a single payline. Watch For Maximum Bet Opportunities while Playing Slots – In most cases, the top slot machine jackpots will only be awarded if you bet the maximum number of coins. It’s worth nothing that the payout percentages that we mentioned above usually include such jackpots in the percentages. That suggests you should almost always bet the maximum. The only exception is on slots that award payouts that are proportional. For example, a winning combination with a 2-coin bet yields an award that is twice that of a single coin. 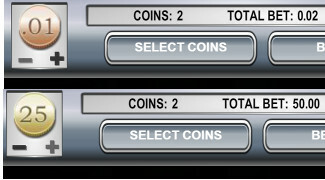 Betting 3 coins results in an award that is three times the amount of a single coin. The combinations that appear on the slots’ reels are controlled by a random number generator (RNG). It’s relatively easy, and very important, to calculate how much you can expect to spend on slots over the course of an hour. Let’s assume that you’re playing a slot with a $.05 coin value and a maximum bet of 3 coins. Over an hour, you’ll likely spin the reels 600 times. During the course of those spins, you’ll spend $90 (600 x $.15, assuming a maximum bet). If you’re playing a slot with a 90% payout percentage, you can expect to lose an average of $9 per hour. If you’re playing a slot with a 98% payout percentage, you can expect to lose $1.80 per hour. This is an important part of your slot money management strategy and this will help you win at slots. While the RNG randomizes outcomes, you can still hit large jackpots as long as you can withstand the hourly cash outflow – and who can’t afford $1.80 an hour while waiting for a large jackpot?. A number of misconceptions about slots have spread. Some have been dispelled by technological advances within the industry while others continue to find their way into a subculture of slot fans. Most slot machine myths are focused upon payout potential. That is, a lot of enthusiasts believe that they can pinpoint the machines that are more likely to pay out than others. Most of these beliefs are false and completely misleading. Slot machines are designed with random number generators (RNGs). The RNG randomly selects a number between 1 and billions for each reel at the moment the reels are spun. Each number selected is used to calculate the stop position of the reel to which is corresponds. As a result, each spin is exclusive from other spins. A slot that has not paid out can plausibly continue not paying out for a very long time. Here is more about how slot machines work. This is a common slot machine myth. A lot of players see a placard above a machine which says “97% payout percentage” and misunderstand what that means. They mistakenly believe that betting a $100 is only truly risking $3; the other $97 will be returned to them during the course of their playing session. A slot’s payout percentage is maintained over the long-term. It will eventually pay out 97% of every dollar bet, but it can take months to do so. Slot systems do not work. There is no shortage of slot systems that are marketed as “infallible” or “sure things.” And sadly, many players buy them, believing they’ll help them win. The RNG that randomizes the outcomes for the reels precludes the effectiveness of slot systems. Think about it this way: if there is no possible way to guess which numbers, between 1 and billions, will be chosen by the RNG, how would it be possible to systematize slot success or tell you exactly how to win at slots? If you’re thinking about buying a slot system, be wary. As long as slot machines use RNGs – and they all do – an effective “success” system cannot be developed. That said, you can improve your overall performance when playing slots by using a few savvy money management strategies (which we describe elsewhere on this site). Remember, slot machines use random number generators. The RNG is a computer program that operates on the slot’s computer chip. The payout percentage for a given slot machine is determined by the settings on that chip. Those settings are established at the machine’s factory, not by the casino. Slot fans often think that a casino can simply crack the machine’s shell and replace the computer chip, thereby controlling the payout percentage. In truth, a casino has to file documents with the Casino Control Commission for every machine they modify. It is a lengthy and high maintenance process. Casinos are far more likely to invest in new slot machines than tinker with existing ones. To be fair, a slot machine can seem “hot” if it keeps paying out. But remember, the payouts are based upon a random selection of numbers generated by a computer program. Each spin is exclusive from the spin following it or before it. Just because a slot has paid out several times in a short period does not mean it will pay out again. Think of it this way: if you flipped a coin ten times and heads appeared each time, what are the chances that heads will appear on the eleventh flip? 50%. Loose slots have eluded millions of slot enthusiasts for decades. An entire subculture has emerged as fans try to pinpoint strategies for finding slot machines that are looser than others. This has helped create a surge of popularity. In the gambling world, slots have risen over the past twenty years to represent the majority of a casino’s profits. There are a few reasons. First, while table games tend to remain unchanged, slot manufacturers continue to develop creative machines that boast new features. This constant innovation keeps players enthusiastic about slots. Another reason is due to progressive jackpots that continue to grow until a player hits the right combo on the right payline. Knowing that there’s a chance they can hit an enormous jackpot that might change their lives, millions of people have gravitated toward slots. But, how do you find the loosest slots? Below, we’ll explain what the term “loose slots” truly means and describe a few myths that have grown around them. We’ll also clarify a few factors that you should know whenever you’re enjoying slot games. Finally, you’ll discover a few of our favorite online casinos at which to play slots. What Are Loose Slot Machines? 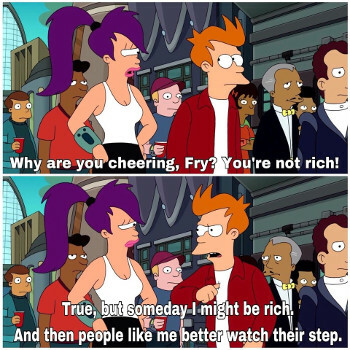 It’s an important point to understand. When someone mentions to you that they know a casino at which loose slots can be found, inquire about the slot payback percentage. Otherwise, there’s no way to tell how loose or tight the machine truly is. There is another important factor to realize. Each slot game’s payout percentage is a measurement of how much money it pays to players compared to how much money it receives. And while it is accurate, it’s a long-term measurement. It is entirely possible for a “loose slot” with a 99% payback to go weeks without paying out a significant sum. The payback percentage will even out over the long haul, but understand that you can be caught without a payout for quite awhile. There are a number of popular myths that slots fans swear by in their pursuit to find loose slots. (To their credit, some of the myths may be true.) For example, it’s widely accepted that land-based casinos strategically place looser slots near the entrance, next to cafes and coffee shops, and right beside tight slots. The reasoning is simple. Putting loose slots near a casino’s entrance allows passersby to see people winning. That makes them more likely to come inside and try their own luck. This is the same logic behind placing loose slot machines next to a cafe. The more frequently diners hear people winning, the more likely they’ll be motivated to play. Finally, the reasoning behind placing loose slots right beside tight slot machines is that enthusiasts often play more than one machine at the same time. How many times can you remember walking through a casino and hearing the ‘Wheel Of Fortune Slots‘ slots going off with “Wheel Of Fortune!!!!! !” and then the booop beep booop beeeep and then the sound of the wheel spinning? I know I have. Before slot machines were designed with computer chips, it was easy to calculate slots odds for hitting a jackpot. It was a matter of multiplying the number of symbols on each reel by a factor of the number of reels. Suppose, for example, you’re playing a single-payline slot which has 3 reels and 20 symbols on each reel. The slots odds for hitting the jackpot would be 1 in 8,000 (or, 20 X 20 X 20). If that same machine had 5 reels instead of only 3, the slots odds for the jackpot would have been 1 in 3,200,000 (or, 20 X 20 X 20 X 20 X 20). Slot games, both land-based and online, are now designed with random number generators (RNGs) and programmed payout percentages. As a result, it’s nearly impossible for the average player to reliably calculate slots odds. That said, we’re going to explore how betting denominations and RNGs influence the odds. We’ll also clarify a few common fallacies that players have about slots odds. Above and below. Same game. See how much the denominations can really make the difference? Common betting denominations for slots range from $.01 to over $5. In most cases, slot machines that require more money to play offer better odds. The reason is due to higher cash flow turnover. Remember, casinos make money by keeping a small sliver of each player’s bet. A betting denomination of $.01 does not allow a casino to make enough profit to justify the machine. On the other hand, a denomination of $1 translates into a higher volume of money washing through the slot. Casinos can offer better slots odds because it takes fewer bets to make a profit. Slots are controlled by computer programs which dictate a particular game’s payout percentage. For example, a slot game might boast a 97% payout. That means players can expect $97 to be returned for every $100 bet. It’s important to realize that the payout percentage represents the return over the slot machine’s lifespan. The amount returned to players during any given hour may not be consistent with the payout percentage, though it will be over the long haul. Random number generators are used to control the stop positions of a slot’s reels. You’ll recall our example above in which calculating slots odds was a simple matter of arithmetic. RNGs complicate the matter. They generate random values between 1 and billions. The slot’s computer program uses those values to determine the reels’ stop positions. As a result, the only reliable barometer of slots machine odds is each machine’s published payout percentage. A lot of players have misconceptions about slots odds. Some fallacies are due to misinformation published online while others are due to poor assumptions. For example, many people think slots odds are consistent for the same game. In truth, the same slot game at different land-based and online casinos can have wildly varying odds. Keep in mind that it is no longer a matter of the number of reels or symbols on each reel. Slots odds are now based upon payout percentages dictated by computer programs. So, two casinos might offer Lucky 7’s; one casino might pay out at 97% while the other casino pays out at 83%. Same slot, different payout percentages. The key is to read and understand the slot pay table available on any and all slot games before playing. Another misunderstanding that players have is the more they play, the better their odds of hitting the jackpot. Slots odds do not change from one turn to the next. The RNG randomizes the stop positions of the reels. That precludes a slot becoming “due” with each unsuccessful turn. You can see the most popular online slots today in our growing list.